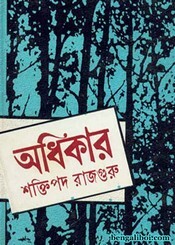 'Adhikar' is one of the most classic novel by Shaktipada Rajguru who was the brightest personalities of Bengali literature. The main subject of his writings was on the life and struggle of the refugees as 'Dinguli Mor' it was a first novel of his. After that he wrote hundreds of novels as Jiban Kahini, Mashul, Antare Antare, Mani Begam, Meghe Dhaka Tara, Anusnadhyan, Amanush etc. Now I want to share a another novel of his- Adhikar. The novel has 311 pages, 18mb file size. Collect the ebook as a pdf file from link below.